MINIMUM AGE REQUIREMENT: You must be at least 25 years of age to rent and must be present at all times during the stay. Any reservations made under false pretenses will result in immediate eviction and loss of all monies. KEEP OFF ALL SAND DUNES – Kiva Dunes is in a Fish & Wildlife Endangered Species Federally Protected area. It is EXTREMELY IMPORTANT TO KEEP OFF ALL SAND DUNES! Dunes are the home of the Protected Endangered Beach Mouse. (Violations can result in fines). NO SPEEDING – Posted limits are STRICTLY ENFORCED. Operators of ANY motorized vehicles, including golf carts, must have a valid driver’s license. ENTRANCE AND EXIT TO KIVA – Visitors and service traffic must use the Security Guard East Gate only. All non- owners must stop at the East Gate guard and display a visitor pass from their vehicle rear view mirror at all times. West gate is for owners only. NO PARKING ON ANY STREET, VACANT LOT, OR BOARDWALK – Parking on the street may create life safety issues regarding Fire Department, Ambulance, etc. PARKING FOR THE BEACH IS PROVIDED AT THE BLUE HERON COVE POOL. A walkover is provided from pool area parking to the beach boardwalk (see map on back). NO LITTERING – Trash receptacles are provided on the beach boardwalks and the pools. Please USE them. NO GLASS CONTAINERS allowed on beach or pool/amenity areas. LEAVE THE BEACH AS YOU FOUND IT – Sand castles, holes or other sand recreation must be BELOW THE HIGH TIDE LINE OR COVERED UP/ DISASSEMBLED BEFORE LEAVING EACH DAY. Stepping in an unseen hole or tripping on built up sand can cause injury to others. Please remember this is private property. ALL ITEMS MUST BE REMOVED EACH DAY WHEN LEAVING THE BEACH. Do not leave items on or near boardwalks. 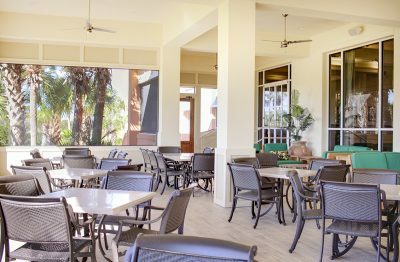 Kiva Dunes is not responsible for theft or damage. NO FIRES AND NO FIREWORKS! 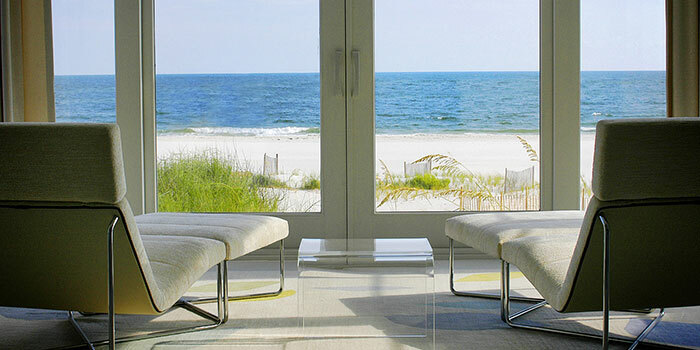 – PROHIBITED at anytime or anywhere on Kiva Dunes Property. DO NOT HANG ANYTHING FROM BALCONIES OR BALCONY FURNITURE – Beach items, clothing, towels, linens, etc. TRASH PICK-UP DAYS ARE MONDAY & THURSDAY AM – Please use lock tight containers and place at the street. Trash in boxes/plastic bags are STRICTLY PROHIBITED except at scheduled pick-up hours. GOLF COURSE IS FOR GOLF ONLY – Walking, jogging, bicycling, fishing, etc., are not allowed unless approved by golf shop or Kiva Dunes management. NO VEHICLES SHALL BE PERMITTED, STORED OR ALLOWED TO REMAIN ON ANY LOT OR DWELLING UNLESS PLACED, STORED OR MAINTAINED WITHIN A WHOLLY ENCLOSED STRUCTURE with roofing and doors approved by the Design Review Board. Common Areas shall not be used for parking of storage of any vehicles, lawnmowers, tractors, tools, construction machinery and equipment of any nature, golf carts, boats and any other type of watercraft, including boat trailers. DO NOT APPROACH, FEED OR AGITATE ALLIGATORS – They are present in lakes and surrounding areas at Kiva Dunes and can be DANGEROUS AND AGGRESSIVE. In the event of an EMERGENCY while at Kiva Dunes, please call 911 or our Security Guard 251-540-2340/ 251-550-6160. If you have any questions about these and other rules, please call Kiva Dunes Management 251-540-7100.